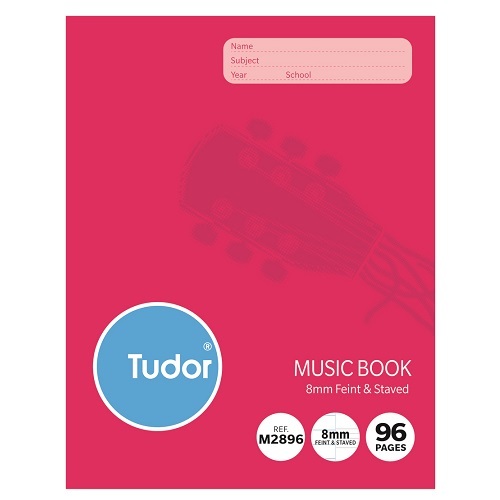 Tudor quality scholastic products to inspire confidence. 64 pages 8mm Feint Ruled with middle 32 pages Music Stave. Size - 225 x 175 mm (9 x 7) with 96 Pages. 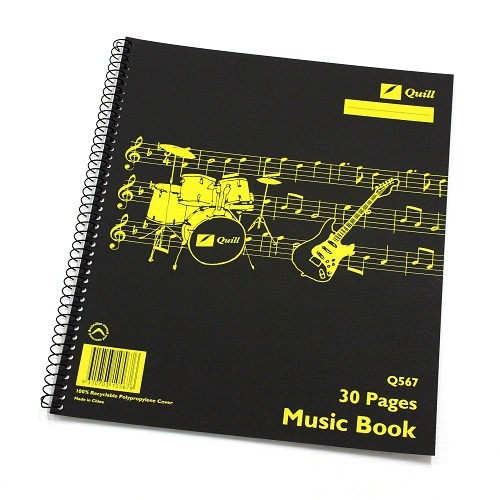 Pack of 10 stapled exercise music books. 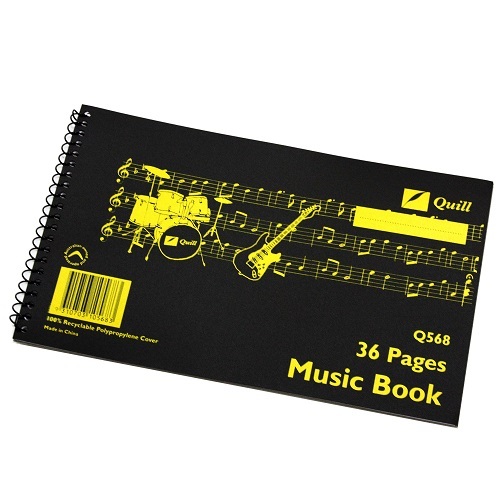 The Quill Music Book is a great place to record your original music. Stylish, durable 100% recyclable polypropylene cover protects your music. All pages are printed with 12 Stave music rulings. Size - 297 x 248 mm with 30 Pages. 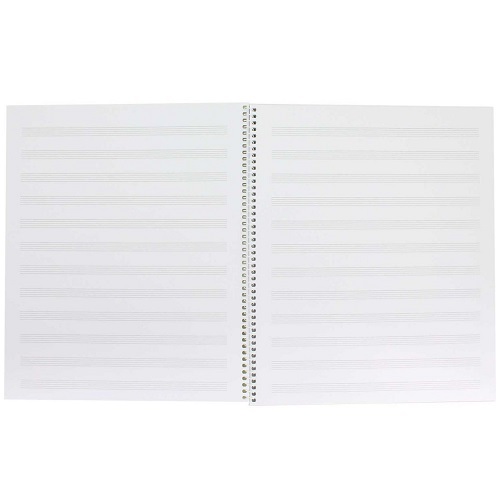 Pack of 10 Side Bound spiral music books. All pages are printed with 6 Stave music rulings. 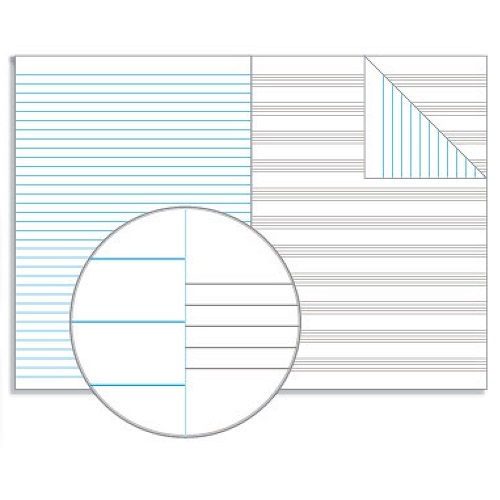 Size - 152 x 248 mm with 36 Pages. 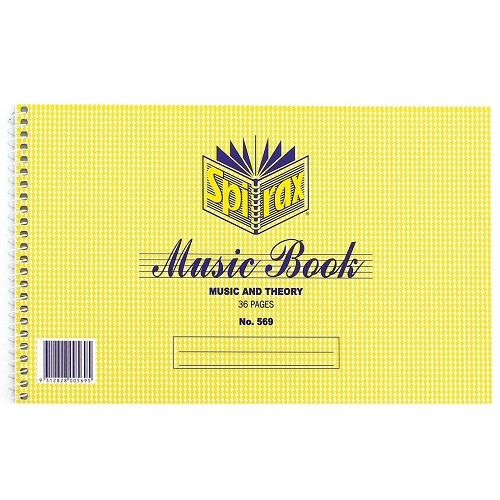 The Spirax music books are manufactured using selected 85gsm opaque paper. Quality cardboard front and back cover ensures your music stays protected. This Music and Theory book has alternate 6 stave and ruled pages. 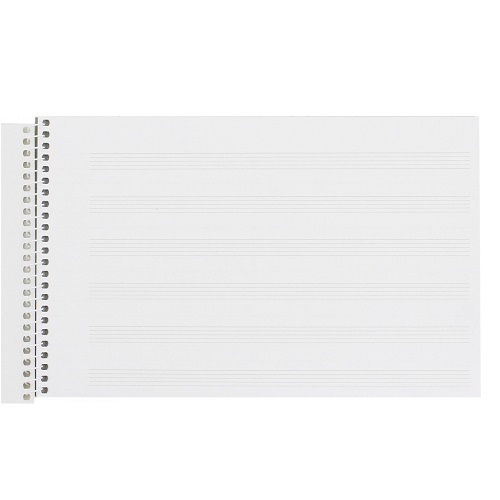 Pack of 20 Side Bound spiral music books.